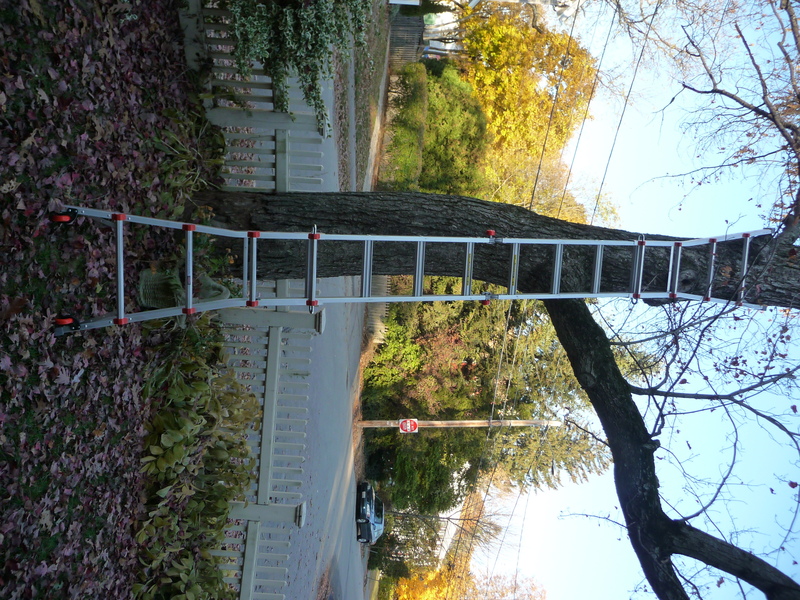 From Our Readers: “PG, I have 8 ft. and 4 ft. step ladders and a step stool. 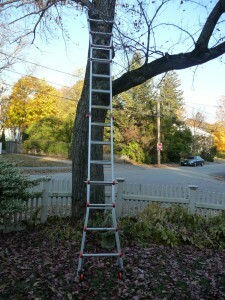 Every time I get up on the step ladders, I fear I’ll have a fall. The 8 ft. wooden one feels loose, especially near the top and its heavy and awkward. 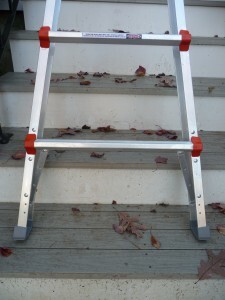 The aluminum step ladder is light but feels like it would kick out if I reach to the side. Worst part is they never seem to be the right size for the job, always too tall or too short. *Weight: Megalite-32 lbs. /Alta One: 29 lbs. 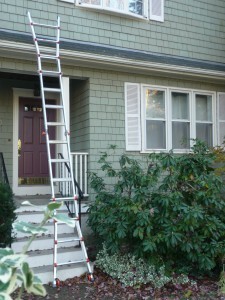 Unless you’re a bird, when it comes to getting off the ground, a ladder is usually the cheapest, easiest way to go. But most people climb a ladder because it’s the lessor of two evils. B.) Take the risk they won’t get a physics lesson on the law of gravity. 2.) 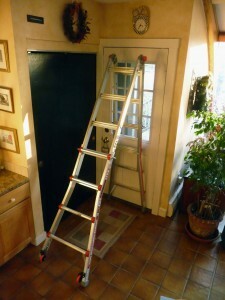 The memory from the last time when the ladder started to twist. The Little Giant company has been making the gold standard of ladders for decades. Most other models of their highly versatile design are heavy duty. 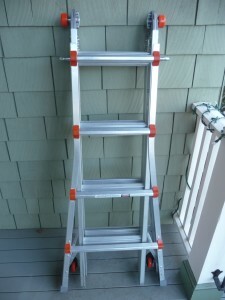 I’ve personally owned the commercial version of the ladder I’m about to tell you about for over 10 years and it’s still as solid and works as well as the day I took it out of the box. 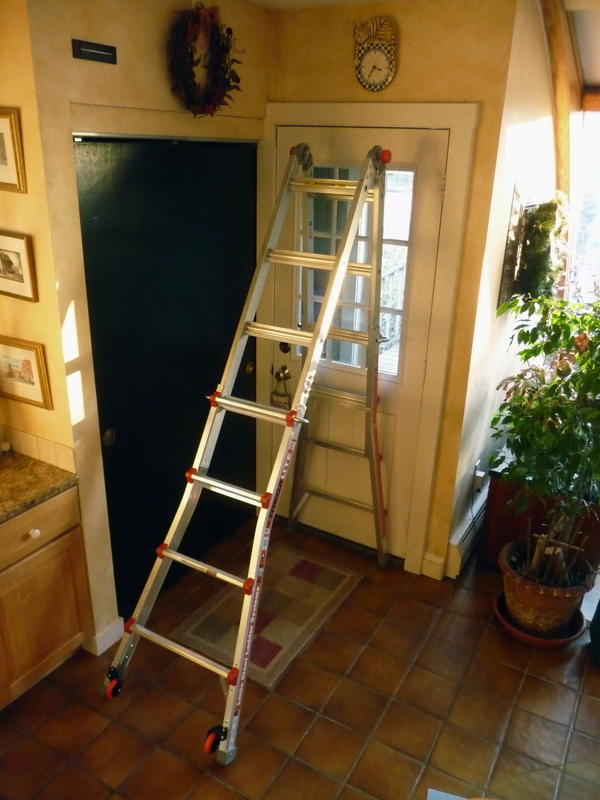 The Little Giant ladder company is another example of American ingenuity at work and it’s still designed, engineered and assembled in the USA. Springville, Utah to be exact. The MegaLite version, made only for Costco and the Little Giant Alta One 17, nearly identical, has all the great design qualities they’re a legend for, just lighter, so a homeowner can easily carry it around the house. 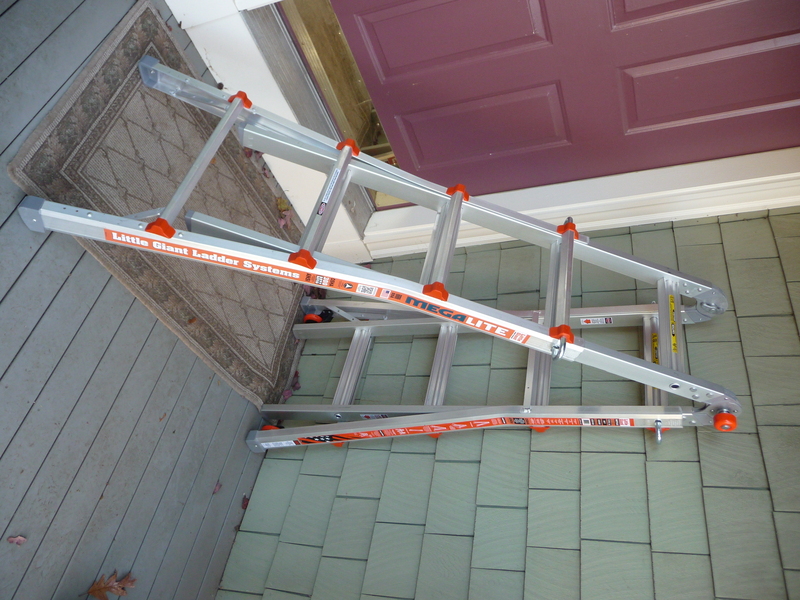 Where this brilliant ladder excels is in keeping you safer from yourself. 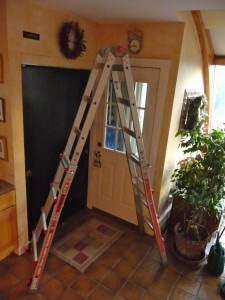 Ever been up a step ladder and reached out too far because you couldn’t get close enough to the wall? Oh, yeh. 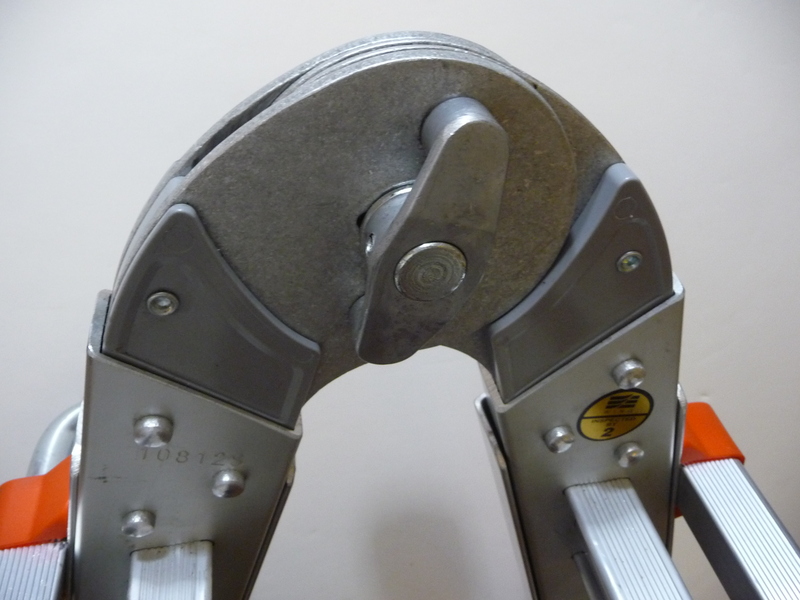 Ever had to cut in a ceiling paint line using a standard 4′ step ladder? With an 8′ ceiling, 4′ is just short enough to risk a swan dive followed by a latex christening. 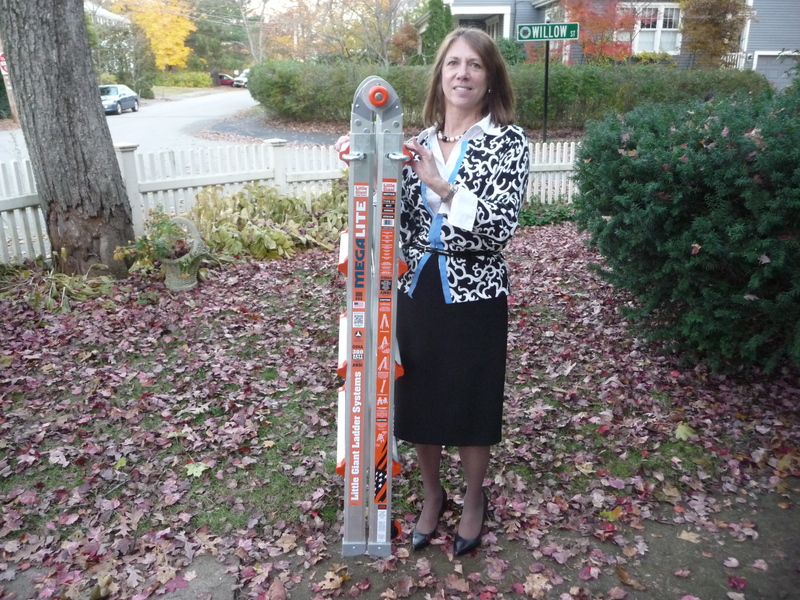 Both these Little Giant’s can become a step ladder from 4’4 up to 7′ in under 5 seconds. 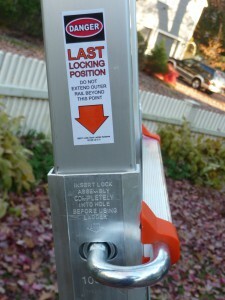 Low ceilings, high ceilings, adjust the side locks and you’re ready to get to work, safely. Need to work tight up against a wall? 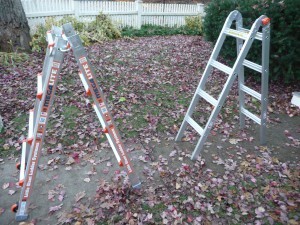 A sideways step ladder can do that, if you don’t mind working twisted 90 degrees and moving the ladder constantly. The Little Giant solves that problem with its separately adjustable ladder sections. 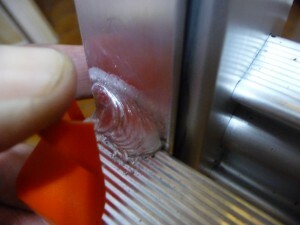 Slide the side you want closest to the wall down a notch or two and it locks in parallel to the wall. Now you can safely get up close and personal. 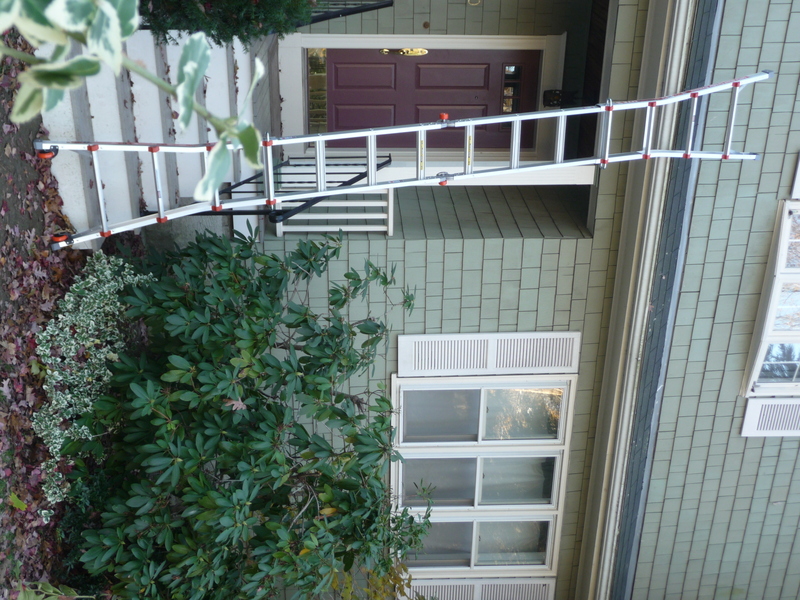 Need to clean out a gutter that’s from 9′ to 15′ up? Simply release the center hinge lock to fold the ladder flat. Then slide the leg sections to the best height. You’re ladder transforms into an extension ladder. Another of its features is the way the frame flares wide at the base to really stabilize the stance, whether configured as a step ladder or an extension ladder. You’ll experience the benefit of this feature on your first use. 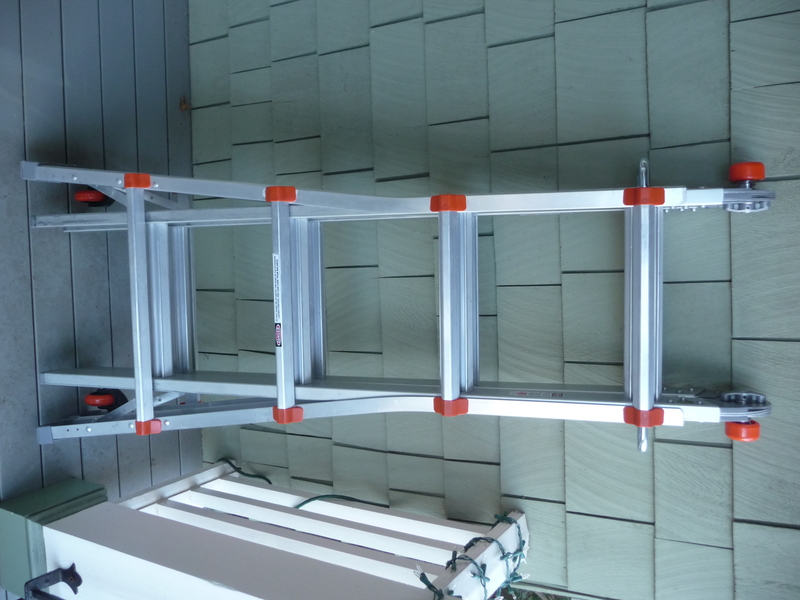 Need to change a light bulb above a set of stairs? 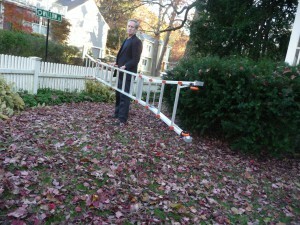 The Little Giant can handle it safely, even if the stairs wind to a next landing. Position the front legs on the stair you need to be over and adjust the rear section down to reach a stair for the base. 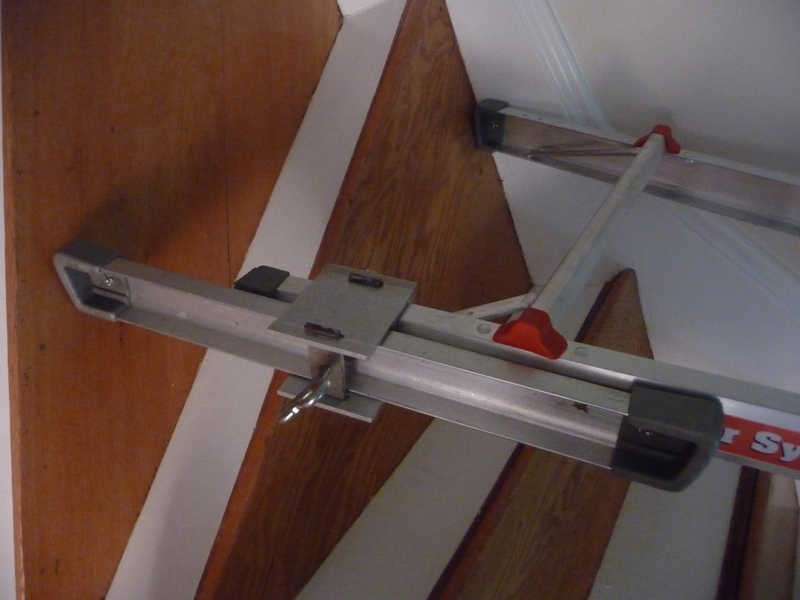 If your stairs turn, you might need to clamp on the accessory I use often, the Leg Leveler, to extend the needed distance. 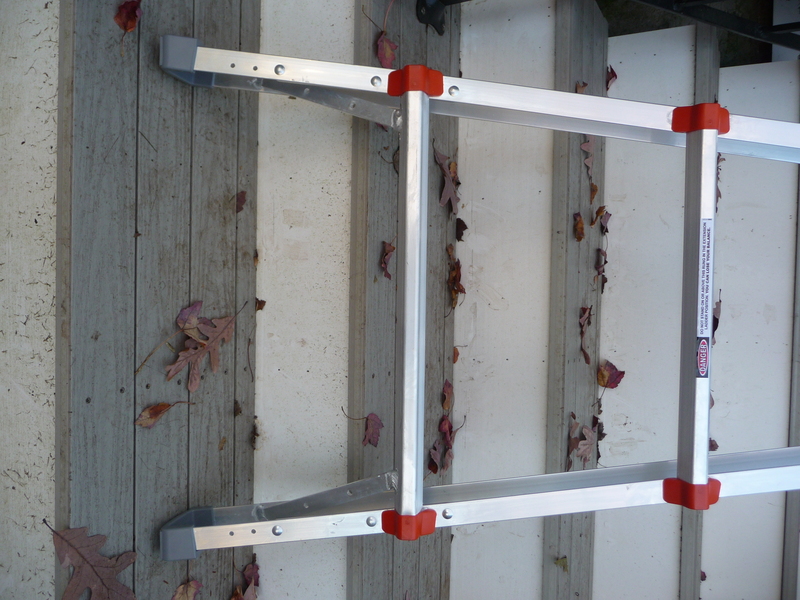 Outdoors, where the ground is rarely level, the Leg Leveler can be the difference between a ladder slide and a safely completed project. 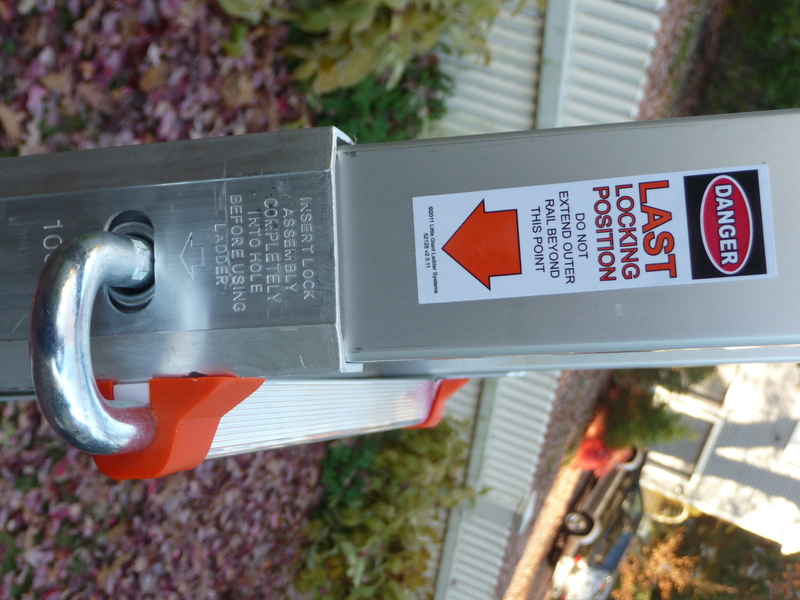 Unlike most leg levelers, there’s no drilling or permanent installation required, so you can relatively quickly flip and re-mount it on either leg. 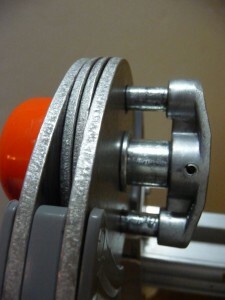 The Leg Leveler friction shoe is tapered on either end so it can be flipped to always follow the same taper as the permanent leg it attaches to. 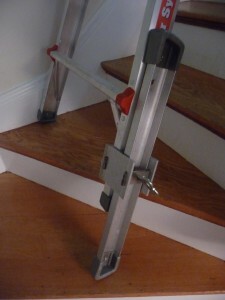 Notice in the stairway photo that the Leg Leveler is clamped inside the hollow of the leg extension. 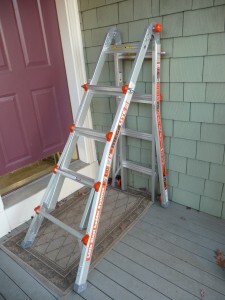 If you have a single story project that scaffolding would make easier, by pulling the extension sections off the inner ladder and connecting them back to back, you quickly have two scaffolding stands. 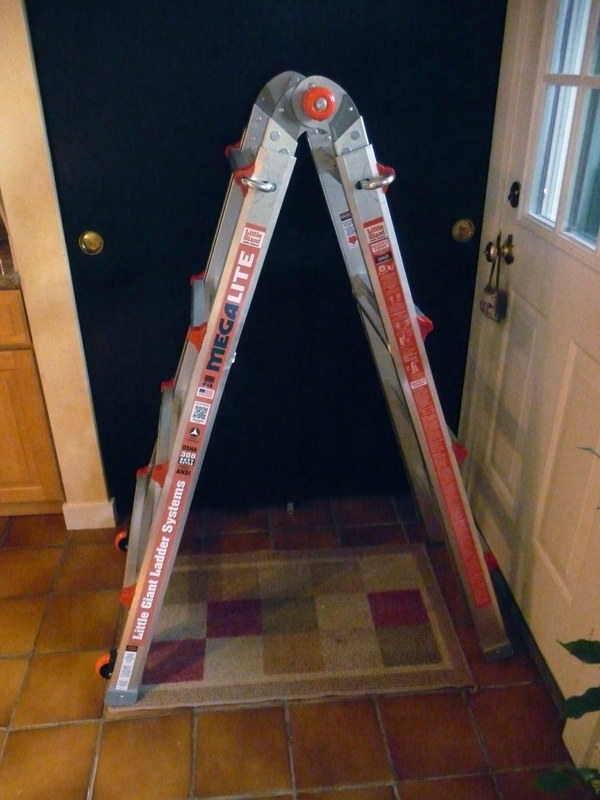 Add a sturdy plank, or the Little Giant Telescoping Plank, (it comes in three sizes) and you’re ready to walk three feet off the ground. 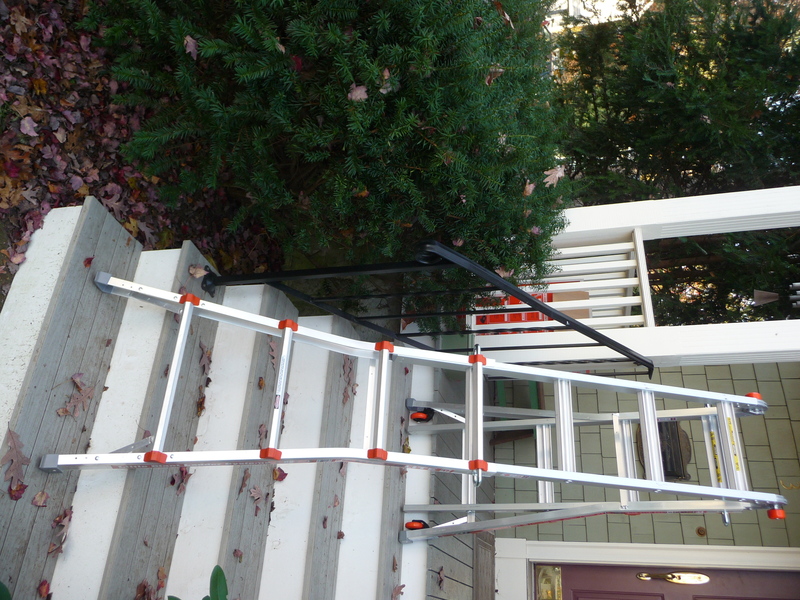 Lay on some siding, hang pictures, change light bulbs, paint, clean a gutter, there’s likely a height or configuration that will make this ladder the right tool for most jobs around the house. Now anyone who has seen this great design is likely to have seen other manufacturers versions, since Little Giant’s original patent expired. 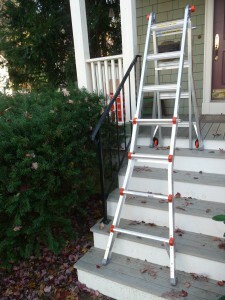 Werner Ladder makes a version most similar to the original, but in their design, the ladder is 10.5 pounds heavier than the Alta One, 7.5 lbs. heavier than the Megalite. Another difference, other than its covers being blue, is the number of accessories they offer, which is far fewer. Some of the Little Giant accessories do fit, but some don’t. 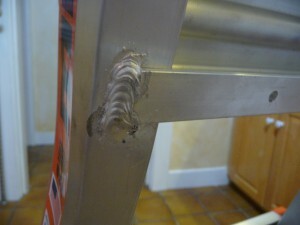 Little Giant also double welds every rung to its rails. Other manufacturers rivet them on, because it less expensive. Rivets can pull out, quality welds last. 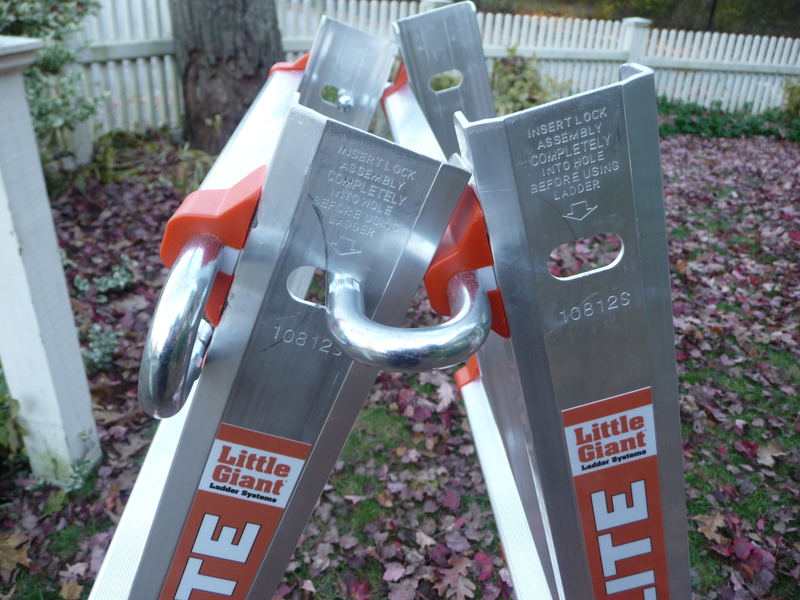 According to the company, Little Giant’s folding hinge strength also exceeds the copies, important especially when you’re up high using it as an extension ladder. Less bounce means more safety. But that’s also why Little Giant gives you a Lifetime Warranty and others don’t. For more than 10 years I’ve lived with the 22 ft. version for outdoor work. 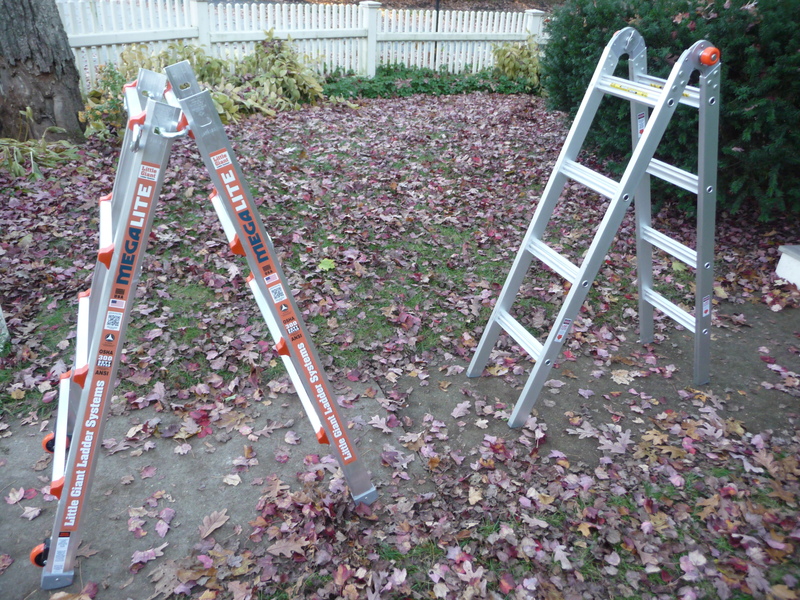 It’s the best ladder I’ve ever owned. But it’s a bit large for some of my indoor projects. Now for lower indoor and outdoor work, I have a smaller, lighter version that even my wife will grab when I’m away. Click here to buy the Little Giant Alta One 17 from Amazon. The Costco version is only available in their stores and not on their website. Click the links for the current pricing. Hello there! A strange request I know but would you be prepared to sell four of your ladder hinges. 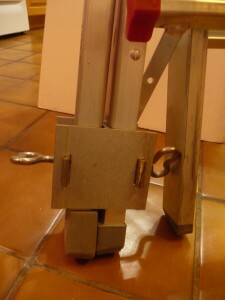 I can’t seem to find anyone anywhere that would provide me with the (hinges only) used in this way. 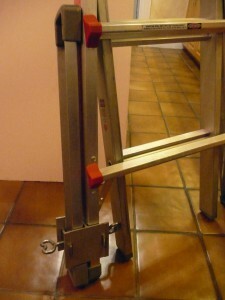 I am trying to make an acrobatic apparatus, very light weight!!! Your’s look great! As I don’t manufacture the ladders, you will need to contact Little Giant ladders directly for your request. Here’s their number: 800-453-1192. They are located it Utah,so match up your time zones to reach them. Good luck with your new product!